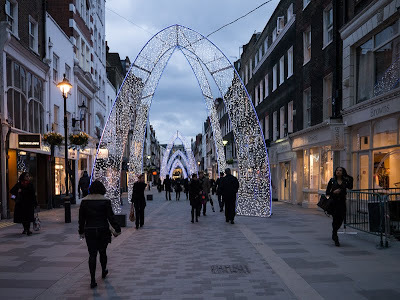 Molton Street that runs off Oxford Street near the Bond Street tube, has some of the prettier Xmas lights I've seen so far this year. seriously good ones and very architectural. Oh how beautiful. Wish I could walk through that right now! Beautiful indeed! I love the graceful arches.